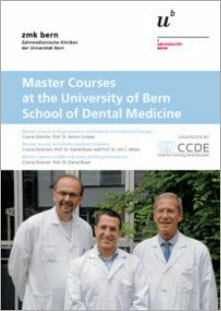 Together with many experienced practising dentists we organize international hands-on courses, where users can learn know-how about different operation techniques in a direct way. "Learning by doing": the participants can work with instruments especially developed for these operation techniques. Prof. Dr. Dr. Anton Sculean, M.S. Fouad Khoury, D.M.D., PH.D., Prof. Dr. med. dent. 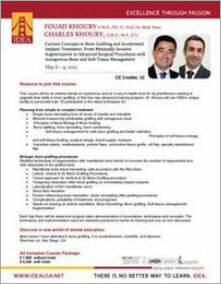 and Charles Khoury, D.M.D., M.S., D.U.